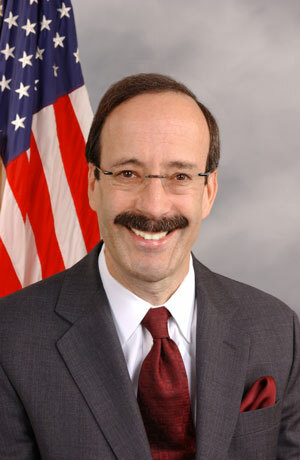 WASHINGTON, DC—Representative Eliot L. Engel, the Ranking Member of the House Committee on Foreign Affairs, made the following statement on a discussion by Inter-American Development Bank (IDB) board members today on incorporating awareness on lesbian, gay, bisexual and transgender (LGBT) communities into development programs at the IDB. This event is the first of its kind at the IDB. “As the Inter-American Development Bank works to reduce poverty and spur economic growth throughout Latin America and the Caribbean, marginalized groups must not be left behind. The IDB has made great strides in its efforts to reach out to Afro-descendants, indigenous groups and women. Now, I am pleased that the Bank is turning to the LGBT community. I congratulate the Executive Directors for the United States, Uruguay and Argentina at the IDB on their efforts with Bank management to advance an informal discussion on development issues for LGBT communities in the Western Hemisphere. LGBT communities can be victims of discrimination and may not have equal access to the same public services – including housing and job training – as the rest of the population. The IDB is a multilateral development bank that has been in existence since 1959. It is the leading source of development finance in Latin America and the Caribbean, having provided about $14 billion to the region last year, and has 48 member countries. MARCH 12, WASHINGTON, DC— Today, Representative Eliot L. Engel, the ranking Democrat on the House Foreign Affairs Committee, was joined by Reps. Ileana Ros-Lehtinen (R-FL), Albio Sires (D-NJ), Richard Hanna (R-NY), David Cicilline (D-RI) and Chris Gibson (R-NY), in calling on the U.S. Agency for International Development (USAID) to provide funding for the protection of the human rights of lesbian, gay, bisexual and transgender (LGBT) individuals in the Northern Triangle countries of Honduras, Guatemala and El Salvador. Specifically, the letter states that given the dangerous levels of crime and violence committed against LGBT individuals in these countries, existing Central America Regional Security Initiative (CARSI) funding should be made available to LGBT human rights groups in the subregion. In Honduras alone, more than 90 LGBT people were killed between 2009 and 2012, and many others were victims of violence and harassment. “As former Secretary of State Hillary Rodham Clinton said, ‘Gay rights are human rights and human rights are gay rights.’ As we ramp up our country’s investment in Central America, we need to protect the subregion’s most vulnerable populations. This means protecting the basic human rights of LGBT individuals and ensuring that citizens of these countries are not killed or assaulted just because of who they are,” said Engel. 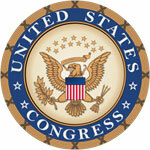 Washington, D.C. – Rep. Eliot Engel, the senior Democratic Member of the House Foreign Affairs Committee, released the following statement regarding the Ugandan parliament’s approval of a bill which would criminalize consensual behavior between adults and outlaw the promotion of LGBT rights. At a Congressional hearing in Washington this week, Congressman Eliot Engel (D-NY), Chairman of the House Foreign Affairs Subcommittee on the Western Hemisphere, called on the Honduran government to take action to end impunity for murders and other human rights abuses that have been directed at the country’s LGBT community. In his remarks, he noted that 2009 “was especially brutal for Honduras’s lesbian, gay, bisexual and transgender community. Attacks on the LGBT community escalated substantially starting in June with 19 known murders of prominent members of the LGBT community.” Many of those attacks are detailed in the annual State Department Human Rights Report, which was released by Secretary Clinton last week. See an excerpt of all LGBT human rights references in the State Department report, including the egregious abuses in Honduras.